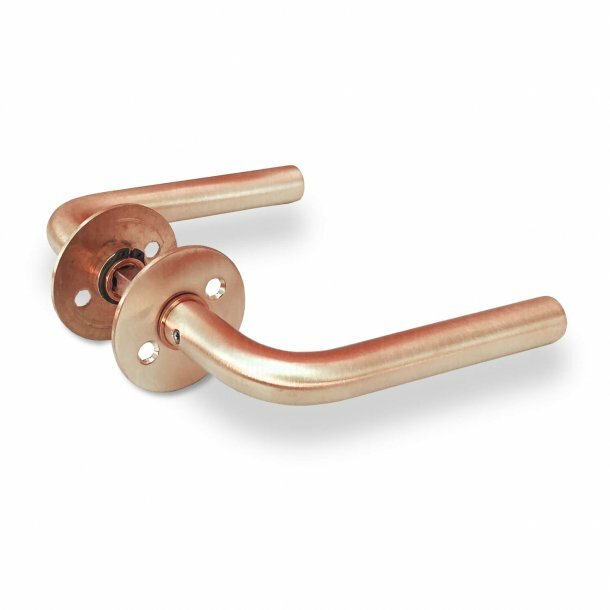 Beautifully crafted L-handle in brushed copper. 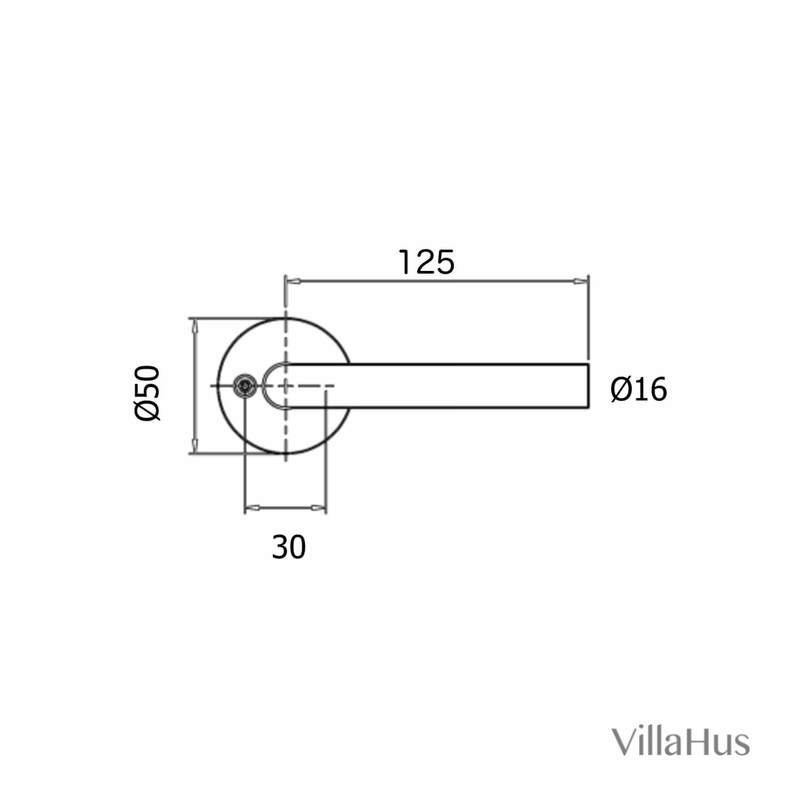 The door handle is designed and manufactured in Denmark. Door handle measures 125 mm - Rosettes measure 50 mm in diameter.